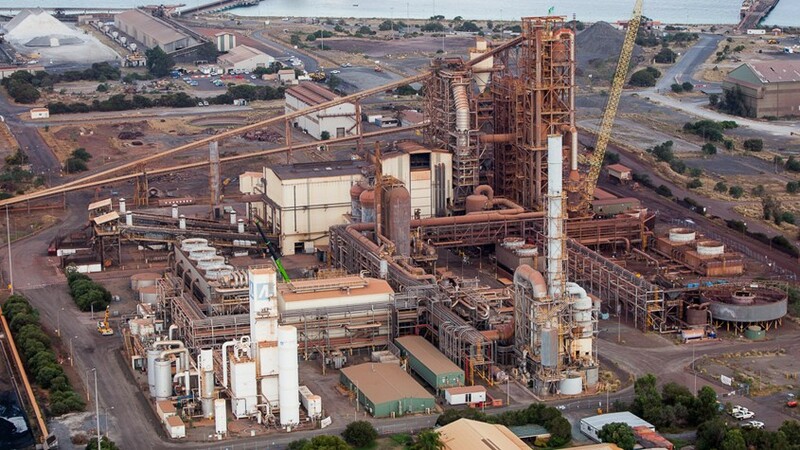 Liberty Industrial carried out the deconstruction of Rio Tinto’s High Intensity Smelting facility in Kwinana, Western Australia. 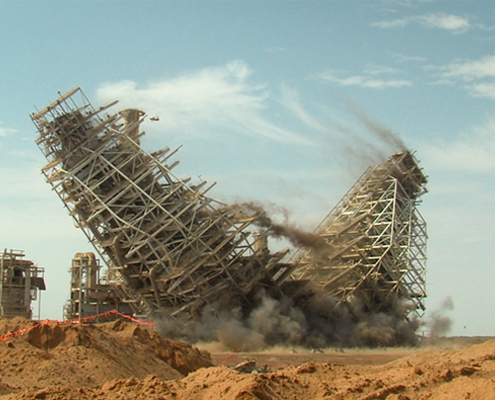 The project involved the dismantling and relocation of almost half of the Hismelt plant, The award winning project was the first of its kind with the project involving the complex dismantling of significant components of industrial plant; never before has a dismantling project of this scale and complexity been attempted in Australia. Deconstruction works commenced in January 2013 with the dismantling phase of the project. In total, more than 7,000 tonnes of industrial plant and equipment including four bulk shipments of over 18,000 cubic metres and 280 shipping containers of plant and equipment were salvaged and shipped 7600 kilometres away to Shandong Province in China. Over 2000 bulk units were methodically dismantled, cleaned to export standard, match marked, labelled, recorded and packed, with each item given clear instructions on how to be reassembled in China. The salvaged items included the 65 metre high, 1200 tonne Coal drying and grinding structure, the Flue Gas Desulphurisation plant, Hot Metal Handling equipment including an 80t induction furnace, the Hot Metal Desulphurisation plant, Off Gas Scrubbing and Cooling infrastructure, and a 25 megawatt power station. Carrying out lifts of up to 108 tonne, the dismantling process relied heavily on complex engineering lifts using large crawler and mobile cranes. 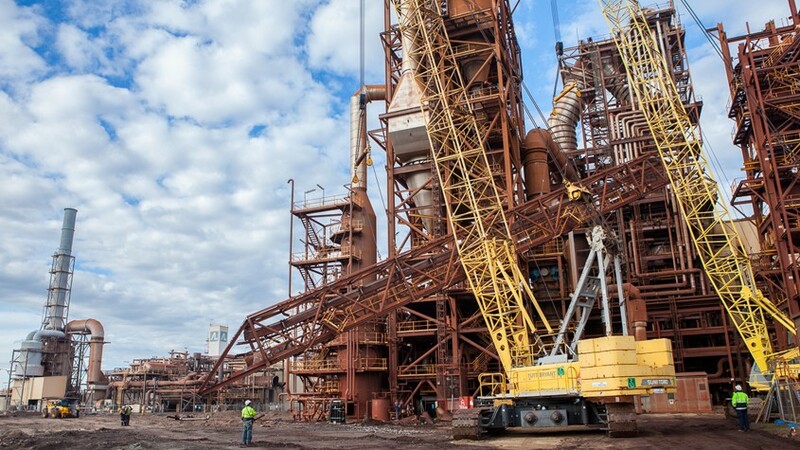 Throughout the project Liberty Industrial managed multiple crews across multiple workfronts within a small footprint. The project workforce hit its peak in the dismantling phase of the project with 60 personnel including a significant Senior Management and Supervisory Team of two Project Managers, three Safety Managers, five Supervisors, and three Leading Hands, supported by a team of five Project Engineers. 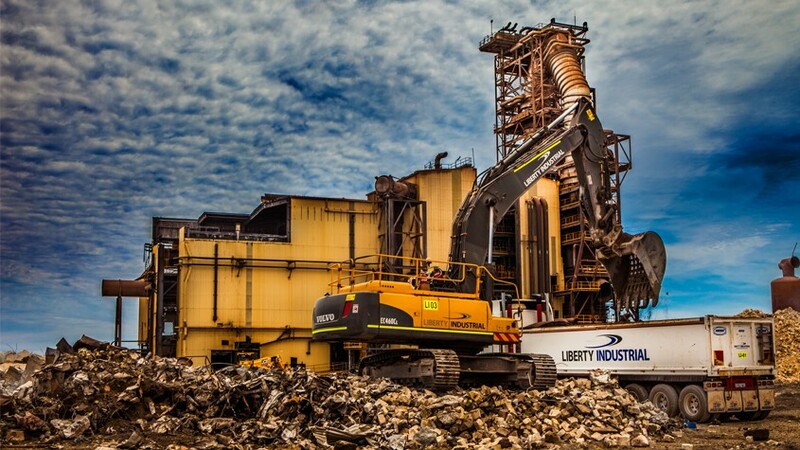 Liberty Industrial then commenced demolition of the major structures, utilising engineered induced collapse methods to demolish the larger structures, including the 75 metre tall, 1700 tonne Preheater structure. We utilised ASI Extreme Loading software to 3D simulate our induced collapse methods to ensure we are satisfied with the mode of failure, pre-failure structural stability and the effects of wind on the weakened structure. Modelling the structure and simulating our proposed demolition methodology allowed us to refine our methodology and demonstrate a successful, safe and controlled outcome to our client, Rio Tinto, well in advance of executing the task. The application of this innovative technology was a key factor in mitigating and managing the potential risks associated with the task and ensuring the structure was demolished in a safe and controlled manner. Once the higher structures were at ground level the demolition of the plant and infrastructure was undertaken with Liberty Industrial’s heavy duty customised 230 tonne Liebherr 994 (Australia’s largest demolition excavator) with the assistance of a the 120t Hitachi with third member rotating shear and a fleet of Volvo excavators. 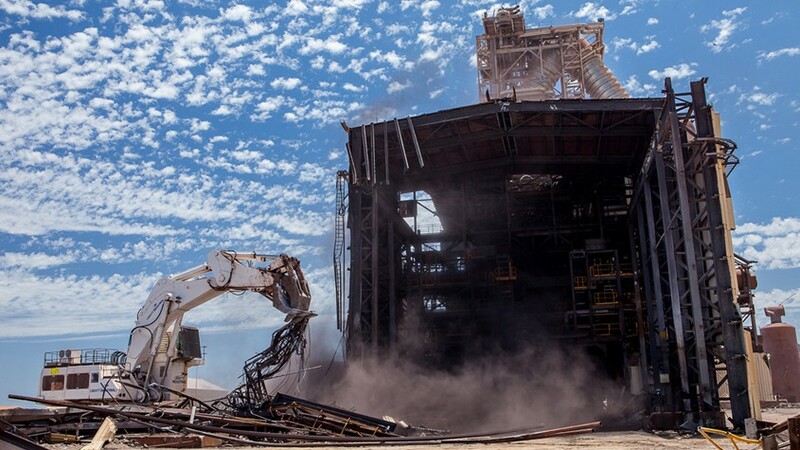 The project won the Industrial Demolition Award at the 2014 World Demolition Awards. In addition to the Industrial Demolition category win, Liberty Industrial were bestowed the highest accolade a demolition contractor could receive, with the project taking out the 2014 World Demolition Award, a prestigious award recognising the best of the best across all 2014 award categories.